I've never actually wondered what a console controller looks like on the inside. Perhaps I am too easily distracted by their colorful plastic exteriors, or by wanting to throw them across the room in response to certain games. 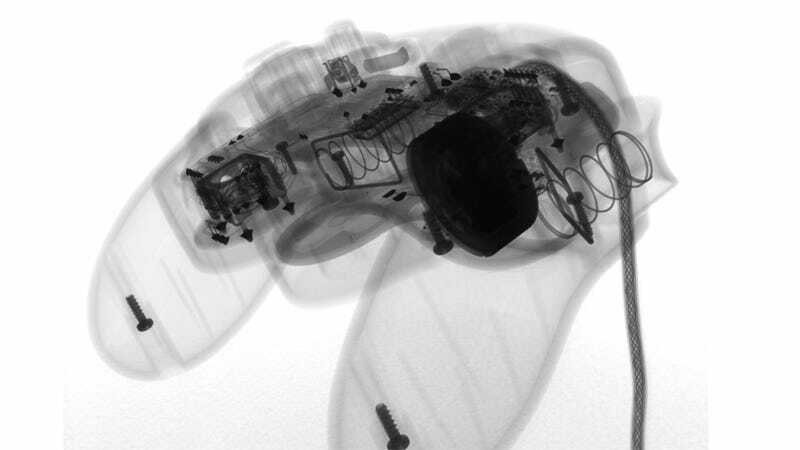 But a Reddit user out there with access to an industrial-strength x-ray system did wonder how a controller would look on the inside, and the answers are gorgeous. The controllers in question are for PlayStation 3, Wii (Motion +), Xbox (third party) and GameCube. And while they're more alike on the inside than they are on the outside, each still has its own unique profile. With every screw and every spring in exactly the perfect place, the controllers themselves become works of art. We've posted a selection of the gorgeous images here; there are even more available via the original Reddit post.